Every Friday, Pacific Union will take a look at what’s new and notable in the Bay Area neighborhoods that constitute our neck of the woods. Here’s what we’ve got for the week ending March 2, 2012. This week Marin County planning commissioners gave the green light to George Lucas’s next production facility in Lucas Valley. The filmmaker’s plans for the property include film stages and screening rooms as well as guest quarters, gym and a number of other amenities. The project will also bring additional jobs to the table for the county. 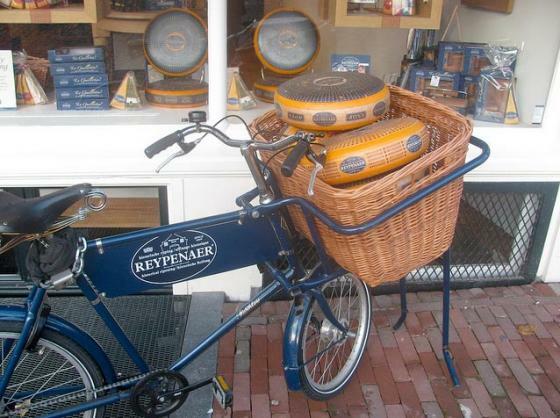 Bring your bikes but leave the brie, because this Saturday’s Tour du Fromage maps out a cycling cheese tour around the city. See a number of our beautiful neighborhoods and visit some of our finest independent cheese shops. Get ready, cheesy riders! The Berkeley Art Museum opened an exhibit this week fresh from its Southern California run. “State of Mind: New California Art circa 1970,“ co-produced by the University of California’s Berkeley Art Museum and the Orange County Museum of Art, offers visitors an array of conceptual works ranging from photographs and videos to installations representing the counterculture movement. Already a popular Bay Area shopping destination, downtown Walnut Creek is expected to receive a shot in the arm from the addition of a variety of new stores. Businesses slated to open up shop include familiar names such as Neiman Marcus and Anthropologie. Sonoma County’s Wine Road kicks off its 34th annual Barrel Tasting this weekend. Scheduled to take place over two weekends, wine is the event’s star, providing visitors the opportunity to sample wineries’ wares still in the barrel, and purchase “futures” of the wine before it is actually available.